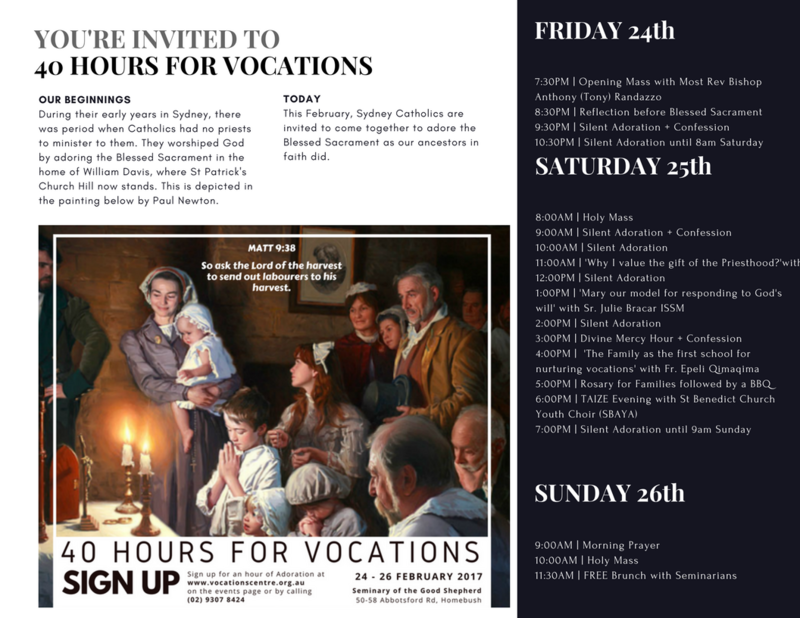 You’re invited to pray with us for an hour at the Seminary of the Good Shepherd as the Archdiocese of Sydney dedicates 40 Hours of Adoration to pray for vocations. 40 Hours includes Mass, Confession, communal and personal prayer, and guided reflections before the Blessed Sacrament. See the event on our Facebook page and invite your family and friends.